Three girls. One apartment. One highly addictive video game. 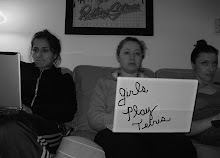 The Triumphant Return of Girls Play Tetris! 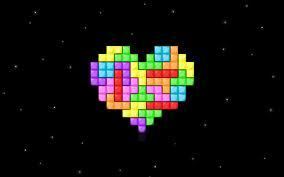 After a very, very long hiatus I'm pleased to announce that Girls Play Tetris is back in action! There have been some big changes here at GPT over the past few years; Jorge Posada has retired from the Yankees, I've recently been seduced by the analog pleasures of Sudoku, and I now live in the untamed wilds of upstate New York. So after receiving an overwhelming number of requests (read: none), I have decided to revive Girls Play Tetris to satisfy the public's unquenchable disire for hard-hitting Tetris journalism of the highest caliber. I hope to live up to the standards of quality set in the past, and look forward to sharing my recent adventures with you all. While it was hard to tear myself away from sweet, sweet Tetris, I was drawn to the outdoors this weekend for a camping trip in Maryland. Luckily, the s'mores helped to ease the separation from the Best Game Ever, and it turns out a glowing campfire is almost as fun to watch as the YES Network. Last time I ventured out into Nature, I stumbled upon the Rare Tetris Flower. This time, I encountered something even better on the beach -- wild ponies!!! I'm not kidding. It was almost as awesome as the time Rachel made it to level 81. This weekend, I'm off to spend some more time in Nature, and who knows what I'll find? I'll keep you posted on my adventures when I return. For any of you who missed Michelle Obama's inspirational speach at the Dem convention the other night, I highty suggest you take a 15 minute break from tetris to watch it. 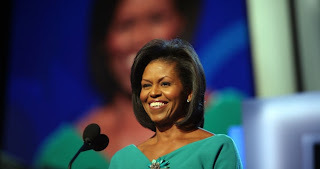 Michelle's warmth, passion and intelligence are a welcome relief from the lifeless Laura Bush, whose personality ranges somewhere between zombie and Disney World animatronic creature. America will be better off having Michellle Obama in Washington, and who knows? Maybe in eight years she'll pull a Hillary and run for office herself! I was watching Enchanted this weekend, and couldn't stop thinking that the movie seemed really familiar. Then I realized, I was basically watching Elf, but with more singing and fewer large men in green tights (maybe this had something to do with the fact that I'd also watched Talladega Nights that weekend, which stars Amy Adams and Will Ferrell). If I were an Olympic gymnastics judge, I would award Enchanted a bronze medal; the music and dancing are not bad (by modern movie musical standards) and Amy Adams is super adorable as the cartoon brought to life, even if she doesn't consume massive amounts of candy and make wooden toys out of furniture. 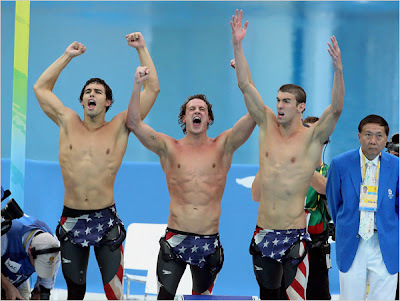 Olympic Fever has official spread to GPT HQ. Last night, Stef stayed up all night watching gymnastics, and I've found myself straying from baseball games to watch swimming. Shocking? I think the photo below speaks for itself. 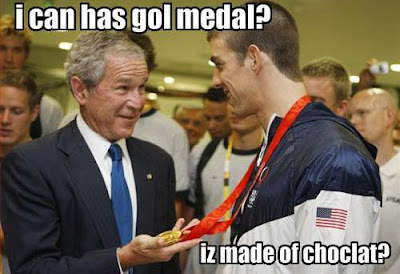 Go USA!!! 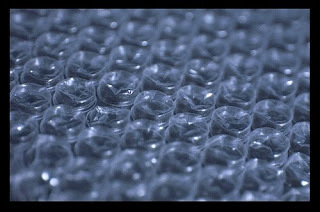 There's less strategy involved in popping virtual bubble wrap than in playing tetris, but it's still strangely satisfying, and a good way to relieve stress at work. Try the manic mode if you're feeling really crazy. Thanks to GPT fan and dad, Alvin W., for helping us find yet another addictive slice of Internet silliness. It's the middle of summer. The fans and ACs are working overtime to combat the heat, Labor Day seems years away, and to top it all off, my boy Jorge Posada is having season-ending surgery. We could all use a little pick-me-up, courtesy of the one and only Barbra Streisand. Yes, it's sort of random, and a departure from the usual tetris and baseball themed GPT subject matter, but watch this clip from Funny Girl and you'll feel instantly revived. "For me, Posada has always be the antidote to A-rod’s headline grabbing, diva-esque ways. Jorge is a sports hero in every sense — he leads by example, is patient with young pitchers, and most of all, stays calm in big situations." "As fans, we've always assumed Jorge would be there, and only now that he's injured are we starting to appreciate what he means to the team." The lessons to be learned from this? 1. Mixing the Internet with sports obsessions can lead to strange things, and 2. Jorge is the best and I will cheer for him even if he is degraded into playing first base. Now I have to go tend to my own sore shoulder (have I been sitting at a desk for too long, or are these sympathy pains??). I have to admit that the first time my little bro introduced me to Tim and Eric's "Tom Goes to the Mayor," I was confused and disturbed. But after becoming more acquainted with the duo's repitoire, I began to see their charms. Here's a hillarious and weird ad for Absolute Vodka starring Zach Galifianakis, Tim, Eric, and their dates, Tetris and Jenga.